Dot To Dot Festival: Three Cities - The Same Great Line Up. Across three separate cities on three consecutive nights, Dot to Dot returns this May bank holiday weekend (24th -26th). Now in its 15th year, the festival has become something of a cultural mecca for alternative, rock and indie fans. With a rolling line-up (the same in each city) of the most cutting edge acts of our time, the day long event has its finger firmly pressed on the pulse of everything cool and current. Previously winning the ‘Best Metropolitan Festival’ award, Dot to Dot has established a reputation for putting fresh talent on the map. So work out which location is most convenient to you and get booked in to what promises to be the best event of the summer. With previous years showcasing the talents of acts such as Ed Sheeran, The Horrors, Florence & The Machine and London Grammar, the organisers sure know how to put together a line up. And with a show stopping roster of acts, Dot to Dot 2019 is shaping up no differently. English-Spanish electronic pioneers Crystal Fighters will be headlining this year. The group have integrated themselves into the UK alternative dance scene from their very first album ‘Star Of Love’. 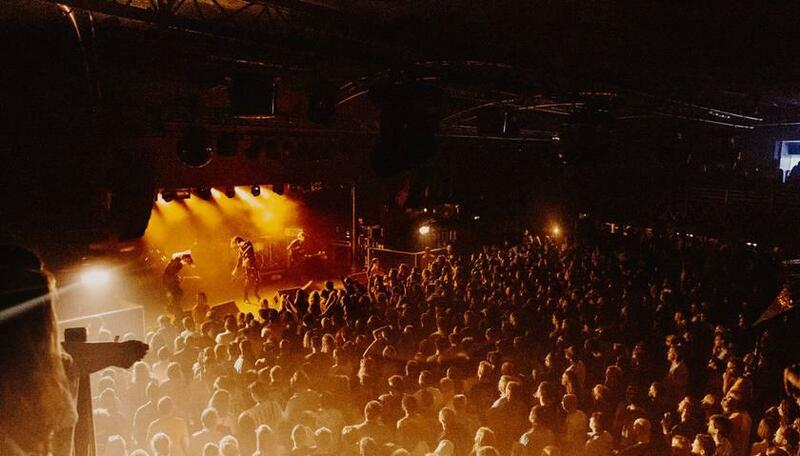 Combining guitars, folk sounds, hypnotic drum loops and a glittery stage presence, Crystal Fighters have created a truly unforgettable experience for their audience. Skillfully blending genres and drawing from an eclectic range of influences, the band have blown away fans and critics alike with follow up albums ‘Cave Rave’ and Everything Is My Family’. With a newly released fourth album ‘Gaia & Friends’ and a sound that induces natural euphoria and summery joy, Crystal Fighters are sure to be at the top of their game this summer. Next on the list, London based outfit Dream Wife will be demoing their unique blend of punk, indie rock and pop music at Dot to Dot. The breakout band met at art college with the first incarnation of the group being part of a conceptual art project. Dream Wife has toured the globe winning over audiences with their femme empowering rock and a sound forged from range of influences, from Madonna to Bowie. Their self-titled debut album released in 2018 was very well received with NME declaring they were the funnest punk act since the Yeah Yeah Yeahs. With topical lyrics and a playing style that is sure to get the audience moving, catch Dream Wife at Dot to Dot. Jordan Rakei will be bringing his unique sound to the festival this May. The New-Zealand born artist spent much of his early life in Australia but after gathering strong traction online with his ‘Groove Curse’ EP, he made the 10,000 mile emigration to London. Adding a vocal to Disclosures track ‘Masterpiece’, Rakei started to receive recognition on the scene and the record was nominated for a Grammy award. With his 2016 self-released debut ‘Cloak’, Rakei finally showcased the range of his multi-instrumental ability. His critically acclaimed second album ‘Wallflower’ was shortlisted for Best Album 2017 in the Australian Music Prize. As he rapidly builds momentum with his jazz and hip-hop infused sound, his set this May is sure to be the best ever. After previously making waves with their 2015 performance, Birmingham indie band Swim Deep will be bringing back their ethereal sound back to the festival for you lucky people. The band's guitar sound started out in the dreamy shoegaze style of the nineties with their debut ‘Where the Heaven Are We’. In their second release ‘Mothers’, the band had moved more towards psychedelia and acid house. With a third album expected in the near future we are looking forward to seeing which direction the band will take next. Pop rock quartet The Night Cafe will also be performing. With a bright and sunny indie sound and tunes recently described as “poppier than a fizzed up Fanta,” they are guaranteed to get the audience moving. Previously touring with genre royalty such as The Wombats, the Liverpool lads are slowly maturing their own sound. Recently named in The NME 100; Essential New Acts For 2019 and with a new album in the making, we have high hopes for these guys. While each of the nights hosts the same rolling line up, be sure to research which of the three cities is most convenient for you. The festival is first hosted in Manchester on Friday the 24th of May, next Bristol on Saturday the 25th, finally concluding with Nottingham on Sunday the 26th. To know more about the venues and travel options, follow the link below for more information. Tickets for all three nights are available now. For an unforgettable day with all of your favorite artists and many more for you to get to know, follow the link to the official site and buy tickets now. You will not be disappointed.